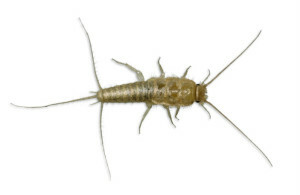 Silverfish are generally ½-inch to ¾-inch in length. Silverfish have flattened, long and slender bodies and are grey in color. Silverfish have long antennae coming out from their head and three appendages protruding out of the rear of their body. Because of these bristle-like appendages, the silverfish bug is sometimes referred to as “bristle tails.” All silverfish are wingless and develop from gradual metamorphosis, meaning the immature bug looks similar to the adults, except is smaller. This bug can run very fast and is most active at night. Silverfish can be found almost anywhere in a house, but are most often found in bathrooms and kitchens around sinks, bathtubs, toilets and other water sources. They are also very common in attics, especially in roof types of cedar shake tiling. This type of bug is attracted to areas of the home that are higher in humidity. If the humidity in the home is relatively low, the bug cannot reproduce and is less likely to survive. Silverfish feed on carbohydrates and proteins. They feed on rolled oats, flour, starch, paper, cotton, different types of synthetic fibers, glue, paste, linens, and beef products. In the Lees Summit area, one of the main food sources for the silverfish bug is surface mold in the attic. Silverfish can survive for a large amount of time without food. In fact, some studies have shown that they can survive over 300 days without food. 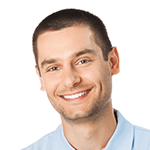 If you have a silverfish bug infestation, don’t wait for the problem to get worse. 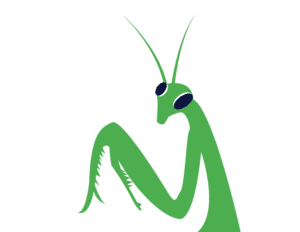 Call Mantis Pest Solutions in the Lees Summit area at 816-287-5030 or (913) 225-7060.